Diantha Dow Schull is principal and founder of DDSchull Associates LLC, providing consulting services to museums, libraries and foundations. She is also the author of books and articles on cultural issues and cultural heritage institutions. Prior positions include President of Libraries for the Future, Executive Director of the French-American Foundation, Interpretive Programs Specialist at the Library of Congress, Director of Exhibitions at the New York Public Library and Associate Director of the Museum Aid Program, New York State Council on the Arts. “Expanding Engagement with Public Library Archives and Special Collections Through Public Programming and Social Media: A Literature Review”. Annual Review of Cultural Heritage Informatics (ARCHI). September 2016. 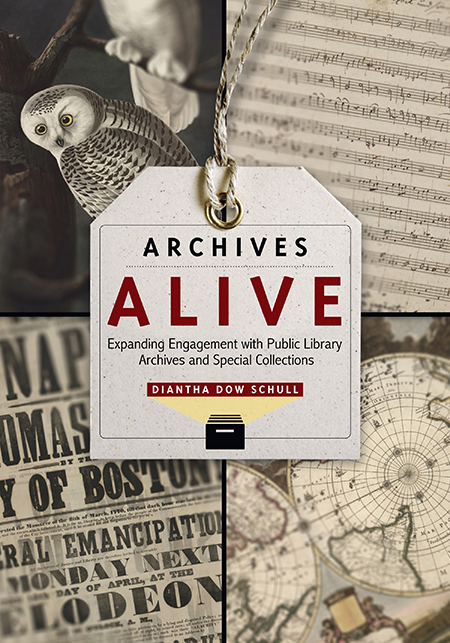 Archives Alive: Democratizing Public Library Archives Through Oral History. Winter 2017 issue the Society of American Archivists’ Oral History Section newsletter. Visit ddschull.com to access Schull's latest thinking and further information about recent publications, 50+ Library Services: Innovations in Action and Boomers and Beyond: Reconsidering the Role of the Library (Co-authored with Pauline Rothstein).